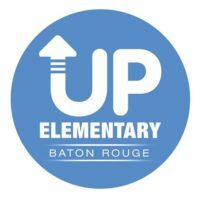 UP Elementary seeks passionate K – 3rd educators for the position of Elementary Teacher for the 2017-2018 school year. Teaching at UP Elementary is an ideal position for a teacher eager to grow and the desire to collaborate as part of a growing team. In addition to summer, weekly, and interim professional development and team planning meetings, teachers will receive consistent high-impact coaching and feedback from UP Elementary Leadership. UP Elementary is committed to recruiting, developing and retaining a team of excellent teachers. – the road to college is in place for 100% of UP Elementary graduates. – students & families are ambitious for the opportunities future learning provides. – strong literacy and math skills open learning for every student. – the character to master academics and face challenges is developed in every child.